I’ve been investing in the stock market since I landed my first real job that provided a 401(k) program. If I’m honest being, I didn’t even know what a 401(k)was, but once a coworker told me that I could save money that the government didn’t tax right away and I also reduced my current payroll tax liability, I was all in. part-time job while going to college full-time and I was making a whopping $12 an hour. It wasn’t a bad gig, but I could hardly afford to save much money and I really didn’t know much about the stock market, so, I just put the money into a target-dated mutual fund and ignored it. Through many job changes, I’ve rolled that money over many times and even took loans out to buy my investment properties before I really returned to concentrating on how my portfolio was doing about three years ago. I was 37 and with 40 looming in the distance, I finally stopped to take a look at my retirement portfolio. 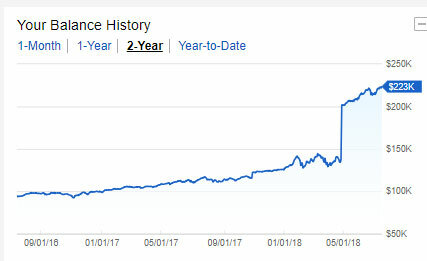 I wasn’t doing horribly, but I knew that my portfolio could probably do much better, especially since I had learned quite a lot more about investing. I didn’t think that my savings were where I needed to be and I needed to pay close attention to my portfolio before I found myself waking up at 60 without the money that I would need in retirement. Between a young 20-year-old me and my then 37-year-old self I had learned just how far behind, financially, women were in comparison to men. Even worse, I had learned that women of color were even further behind. While working in Human Resources for the past few years, I saw, first-hand, just how much the income gap affected women over the course of their lives. The most glaring statistic that confronted me directly was that women, on average, reach their maximum earning potential at age 40. So, not only do we earn less than men, but we get the highest salary that we will ever make years earlier than men do. Guess who’s 40 right now? If my earnings peak at 40 and women are expected to live, on average, to age 81 (75 for African American women), how would I ever save enough to do normal things throughout my life and then save enough for retirement as well? I wanted to be able to do normal things like buy a house (just bought one at the end of March) or pay for things that my baby would need – like college – or even do regular things like taking vacations with my family. I realized that I would either need to make more money or make my money work more efficiently for me. You guys know that I’m the side hustle queen, but with a baby, my free time is now severely limited and frankly, I’m completely wiped out at the end of the day. Making my money work for me it was. It was time to flex my investing muscles. I logged into my investment portfolio to check out the returns that I had been getting for the previous few years. My returns were okay, and some years I even lost money, but it was time for me to be more aggressive since I wasn’t going to be able to add another side hustle or another job. Now, I’m an open book, so I share this stuff on Facebook all the time, and I’m going to share my numbers here as well. Remember, these are my actual account balances and returns and not some fluff from a hypothetical investment model somewhere. In 2015 my account value was $93,406.81. I lost $6,922.28 for the year. Fun. In 2016 my account value was $98,612.71. I made $5,229.80 for the year. Better but still behind. In 2017 my account value was $125,323.18. I made $26,744.50 for the year. Much better. So far in 2018, through April 30, 2018, my account is up $12,389.92. I know that you’re going to ask what the major difference was over the past few years. Yes, the market is doing well, but the biggest difference was me. I stopped being afraid to take risks and I decided to start investing like a woman who knew all of the statistics above. Frankly, I grew a pair. You already know that investing in the stock market is full of risks and that you can lose all of your money. You know that there are no guarantees. You know that a mutual fund or individual stock’s past result is no guarantee of its future performance. You know that no one can predict how a company’s stock or the entire stock market will go. You might even have heard that just investing in the S&P 500 has historically yielded an 8% return. But there are quite a lot of things that no one tells you about women and investing.Did you know that many of the investment models that you might see (think, you should have x amount saved by y age) are based on the needs of men and their earnings? Since women make less money, it’s harder for us to have as much money saved in as many years. Did you also know that since we earn less over our lifetimes, and because we live longer, we need to save and invest a greater percentage of our income than most traditional models allow for? If you’re already making less, and you have to save more, that makes it super hard to live a decent life right now. What about the fact that women tend to be more conservative while investing? This was the exact trap that I had fallen into. I was super conservative and was getting much lower returns than I should have realized over that time. Having administered the 401(k) plan at my last two employers, I have seen how that conservative attitude can affect us. I recall a specific conversation with one employee in her early 60’s who had been with my former employer for more than a decade. Her entire portfolio was invested into a bond fund, and once fees were taken into account, had our employer not made matching contributions, she would have lost money. In that time the stock market had records returns – all of which she had missed out on – and she had retirement looming. When I pointed that out to her, she was visibly upset because no one had ever talked to her about investing in a regular conversation that she could understand. It’s time that we start having those conversations in plain English. Last year I heard about a new investing platform called Ellevest which was specifically designed for women. I was afraid of a “pink tax” where companies take a product or service, tweak it to be marketed to women, and charge more for it. What I’ve since learned is that Ellevest is actually different because they take all of the statistics about the differences between men and women’s earning potential, investing habits and lifespan into consideration while investing for their clients. There are a couple of other positive things as well: 1) their site is in plain English; 2) there are no minimum deposits required to start, and 3) there are no penalties for withdrawals. 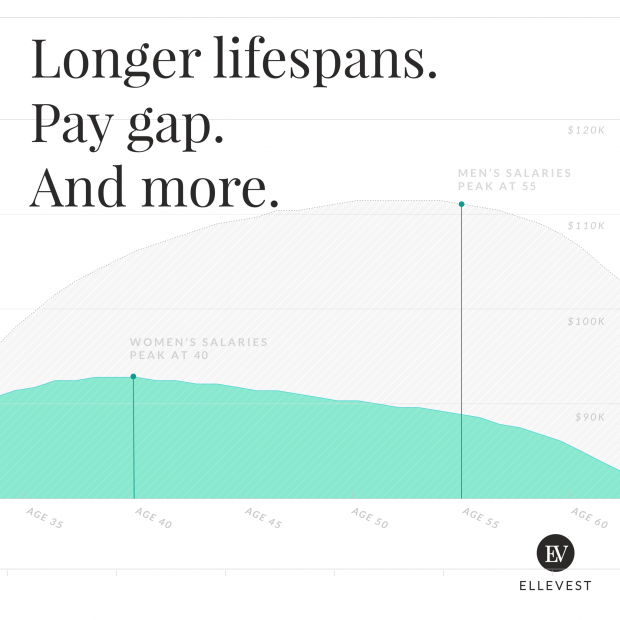 Ellevest is working to break the investment gap through its deceptively simple interface. First, you have to answer questions about yourself and your goals. There would be a HUGE difference between 20-year-old Sandy and 40-year-old Sandy’s investment plans. They ask questions about your age, your gender, where you live and your salary because those things will affect your specific investment strategy. And then you choose what you want to do with your money. If you’re building an emergency fund, for example, and you know that we should all have one, they charge nothing in management fees. Not one penny. But, let’s say that’s not your goal. Let’s say that you are planning on buying a house by the time you’re 40 and want to set a goal to have a specific amount for a downpayment. They have that as an option. Maybe you want seed money to start a business, or maybe you want to save money for your kid’s summer camp fees. You create the goal, how much you’re starting with, how much, if anything you’ll add to that initial deposit plus your timeline and they’ll invest the money for you. If you change your mind or your goals change, you can log in to update your goals or you can withdraw your funds if needed. Simple. more at that time because I would probably have more money now. You can create an account on Ellevest for free and use their modeling tools to see if you like them before you choose to make any investments. If you do choose to invest, you get to decide how much you want to deposit initially and if you’d like to make regular deposits into the account, how much that will be. You’re in control. There are two major things that affected me and I know that they might affect you as well – fear and intimidation. I felt as if I didn’t know enough about the stock market to make a real difference, but I was wrong. You don’t have to know everything about investing to be able to hire someone who does and who will invest in your best interest. As fiduciaries, Ellevest is required to invest your money in your best interest, not in the way that would line their pockets the most. You don’t need to be a financial rockstar nor do you need to have thousands in the bank to hire a company to invest for you. Let’s stop being intimidated and start improving our financial futures. 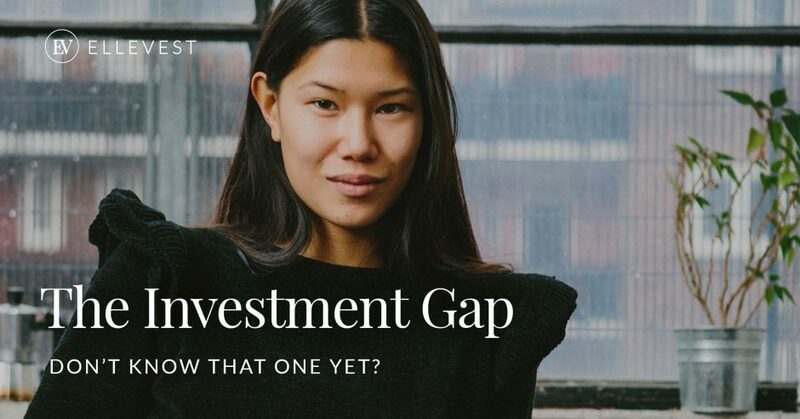 Full disclosure, I am working with Ellevest to begin this important conversation on women and investing. If you choose to create an account, I will be compensated by Ellevest. It doesn’t affect your investment in any way. Whatever you do, if you have not started saving or investing, do something today. I started out saving a meager 12 cents an hour. 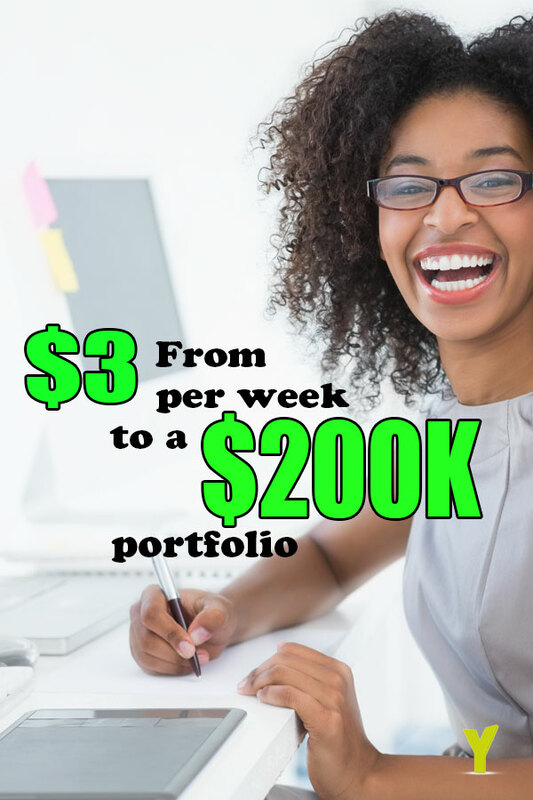 As of July 17, I have more than $220,000 in my investment portfolios. Start now. 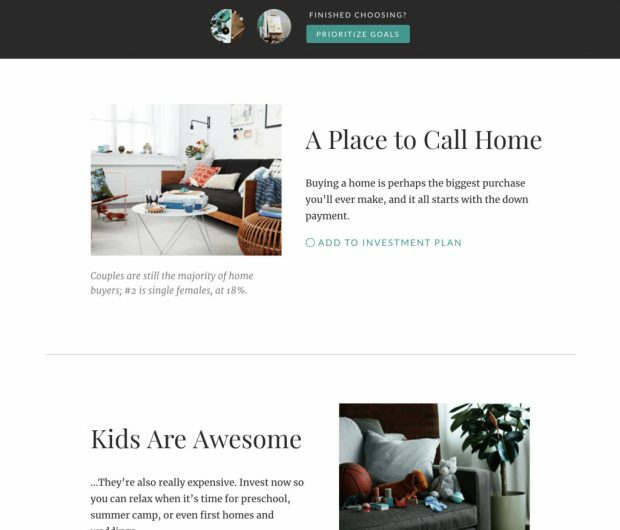 This entry was posted in Investing and tagged Ellevest, investing. Bookmark the permalink. Great post! One contributor to the pay gap is that women are often in places like HR while men are over in the engineering department and engineers of any gender usually make more money than HR professionals because they are in shorter supply. I know there are a host of social reasons that there are fewer female engineers although that has rapidly changed and parity is not that far off. I worked hard to convince my daughter to get an engineering degree like I did and now she has two of them and is paid proportionately to her credentials. And things are changing in management. The entire company she works for is headed entirely by female engineers and the person that replaced me as the head of the company I ran was a female engineer as well, and that is in a relatively backwoods state of Arkansas not noted for leading social change. You’re right. We do take jobs that will traditionally pay less but I have seen horrible disparities between men and women doing the same job with the same experience level and similar backgrounds. That’s where it can be frustrating to see. Of course, there are factors like having jobs that allow us to raise children, taking breaks to raise a family, etc., that also can be contributing factors. I do like that more companies are moving to salary bands and ranges for positions which can help to alleviate this disparity. Absolutely. I think that everyone needs to take responsibilities for their own finances and investing in particular. It shouldn’t make a difference whether you’re male, female, black, white or red! Keep spreading the word!